UK: Another Rainbow, 1984. Bound in gold silk and tan buckram, stamped in gold with glossy illustration of Donald on the front panel. #367 of 700 signed, limited copies. 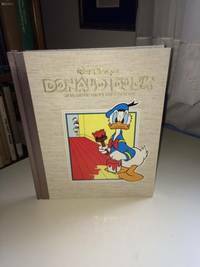 This is signed by the three Donald Duck artists, Carl Banks, Jack Hannah and Clarence Nash (Nash's is a facsimile since he was extremely ill during the publication of this book). Laid in are three facsimile letters to the publisher (Bruce Hamilton) and a letter (laid in) from the publisher discussing details of the three. 96 pp. includes Filmography and Bibliography the famous duck. Tight, clean copy in matching slipcase (which is also near fine.. Signed Bookplate. First Edition. Hard Cover. Near Fine/No Jacket - As Published. 4to - over 9¾" - 12" tall. Limited Edition. 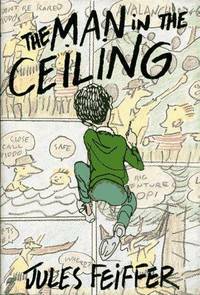 U.S.A.: HarperCollins, 1993. Bound in green boards with black embossed letters to front panel & white cloth spine with black lettering. Is illustrated throughout by the author is in near-fine condition. Dustjacket is in near-fine condition. 185 pgs.. First Edition. Hard Cover. Near Fine/Near Fine. 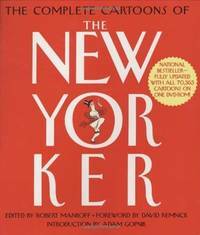 NY: Scribner, 1977. Bound in red boards, stamped in white. A tight, clean copy of the first edition of this book of illustrations by the artist. Dust jacket shows wear to bottom of spine, but is overall, bright and clean. Unpaginated, but approx. 72 pp. . First Edition. Hard Cover. Near Fine/Very Good +. 8vo. New York, New York, U.S.A.: Black Dog & Leventhal Pub, 2006. Bound in stiff red self wraps. 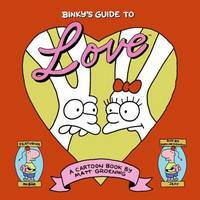 A great copy of this book that also contains the DVD which includes over 70,000 cartoons (all that were ever published in the magazine). 665 pp.. First Edition. Soft Cover. Near Fine/No Jacket - As Published. 4to - over 9¾" - 12" tall. CT: Yale Univ Pr, 2005. Bound in colorful stiff boards. A handsome production. 316 pp. + Bibliography and Index. Hundreds of cartoons represented within. (Picture of Ignatz on the front panel). . First Edition. Hard Cover. Very Good ++/No Jacket (as published). Folio. CT: Yale Univ Pr, 2006. 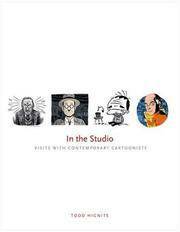 Tight, clean copy of this well-produced book on Cartoonists. Bound in blue cloth, stamped in silver. 310 pp. 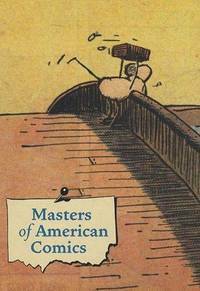 Hundreds of B&W and Color Cartoons depicted. . First Edition. Hard Cover. Near Fine/Very Good +. Folio - over 11" X 14". Boston, Massachusetts, U.S.A.: Harry N Abrams Inc, 2006. Bound in stiff blue self wraps. Handsome production of this 200 pp. 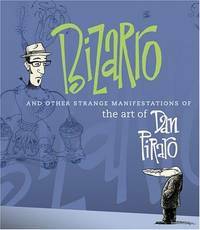 book on the bizarre work of Dan Piraro. The artist has a great sense of humor. . First Edition. Soft Cover. Near Fine/No Jacket. 4to - over 9¾" - 12" tall. San Diego: James Van Hise, 1979. RBCC, #147; articles on "The Pulps": Interviews with Doug Moench and Geo. Clayton Thomas. illustrated in black & white; 80 pp.. First Edition. Soft Cover. Near Fine/No Jacket. 4to - over 9¾" - 12" tall. Periodical. San Diego: James Van Hise, 1978. RBCC, #142; primarily articles on Close Encounters of the Third Kind and other comic related news; illustrated in black & white; 80 pp.. First Edition. Soft Cover. Near Fine/No Jacket. 4to - over 9¾" - 12" tall. Periodical. New York: Harper Collins, 1994. Bound in illustrated boards, sans DW, as published; black & white illustrations; 128pp.. First Edition. Hard Cover. VG++/No Jacket. 4to - over 9¾" - 12" tall. New York: Pantheon Books, 1987. 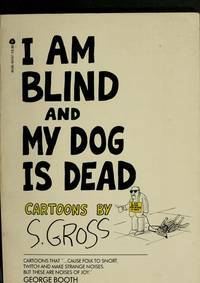 Black & white cartoons; 224pp.. First Edition. Hard Cover. Near Fine/Near Fine. New York: Harry N. Abrams, Inc., 2004. 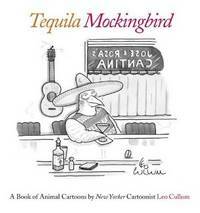 125 full page black & white cartoons from the 'New Yorker'; 128pp.. First Edition. Hard Cover. Near Fine/Near Fine. 8 1/4" X 8 3/4". New York: Dodd, Mead & Co., 1977. 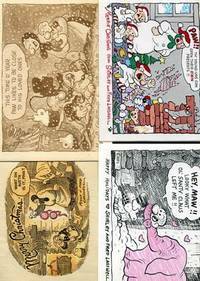 Small pings to front cover; black & white cartoons; unpaginated, approx. 120pp.. Second Printing. Hard Cover. Near Fine/VG++. New York: Charles Scribner's Sons, 1978. Small tears and nicks to DW; black & white captionless drawings; unpaginated, approx. 110pp.. First Edition. Hard Cover. Near Fine/VG+. New York: Warner Books, 1978. First mass-market paperback printing; 45 Super-Quizzes and the answers, fully authenticated by DC Comics; illustrated in black & white by authentic Superman comic-book cartoons; 204pp.. First Edition. Soft Cover. Near Fine/No Jacket. London: Stephen Herbert, 1979. Scarce booklet bound in stiff wraps; slick pages; history of Popeye; black & white illustrations; 28pp.. First Edition. Soft Cover. Near Fine/No Jacket. 4to - over 9¾" - 12" tall.